See your day at a glance. All of your food and exercises logged that day. View today's calories and macros. View today’s stats for total minutes of cardio, total distance traveled, total weight lifted, total calories burned. Complete the nutrition circle by meeting your calorie goal. Complete the running circle by logging at least 30 minutes of cardio. Features a growing food and recipe database that can be easily searched. 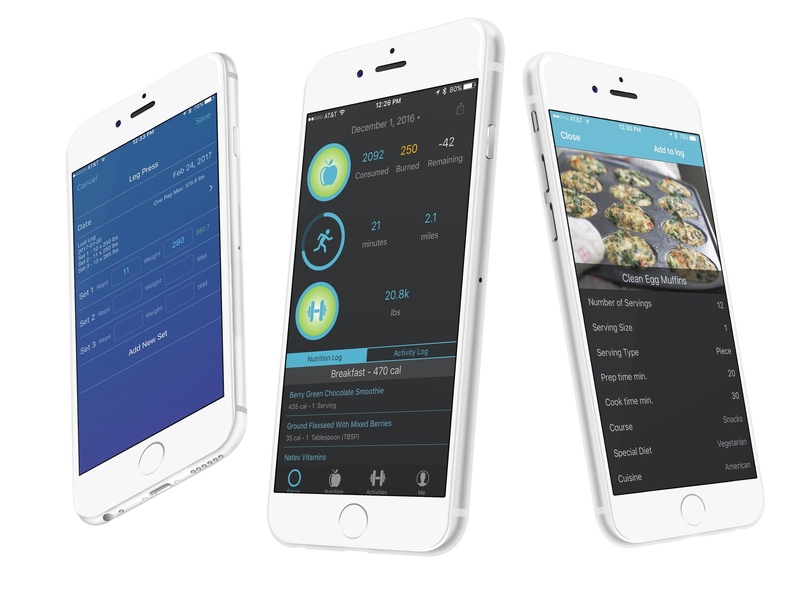 Quickly log foods and recipes so you can track your calories and macros. Don't see a food? Easily create a new food item to track your nutrition! Create custom recipes so you know the nutritional content of your meals. Make logging your food easy by creating recipes that contain multiple foods. Logging an exercise is fast and simple. Features a large exercise database that can be easily searched. Try to beat your last one rep max to make gains! Past exercise logs are only a touch away. Create custom workout plans with your favorite exercises. Get in and out the gym even quicker by using your workout! Visualize and track your progress to success! Track weight, body fat, and more. Earn points for each exercise and cardio minute you log. The more you log, the more points you earn! Drawings are held every month for prizes like pro memberships, t-shirts, gift cards, and more!